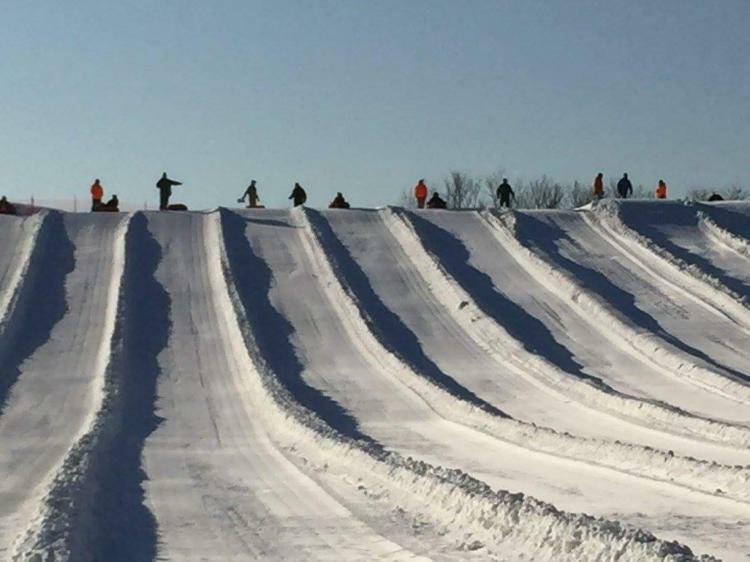 Join us for a breath taking slide down Koteewi Run, central Indiana's only groomed snow tubing hill! Slide 700 feet down groomed lanes in our custom snow tubes to a soft landing, and then ride our tow line back to the top for another run. No experience necessary, just proper attire for the conditions and a thirst for outdoor fun and adventure. We also hope you'll pause before the plunge to enjoy the view as you look out over the natural beauty of Strawtown Koteewi Park. Please visit their Facebook page for updates.